An interesting question popped up this morning in the private facebook group for members. 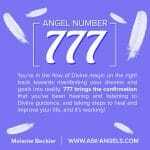 One of the members was shocked and confused when she had a psychic reading with a medium who told her that she had more angels with her than just about anyone she had ever seen before. 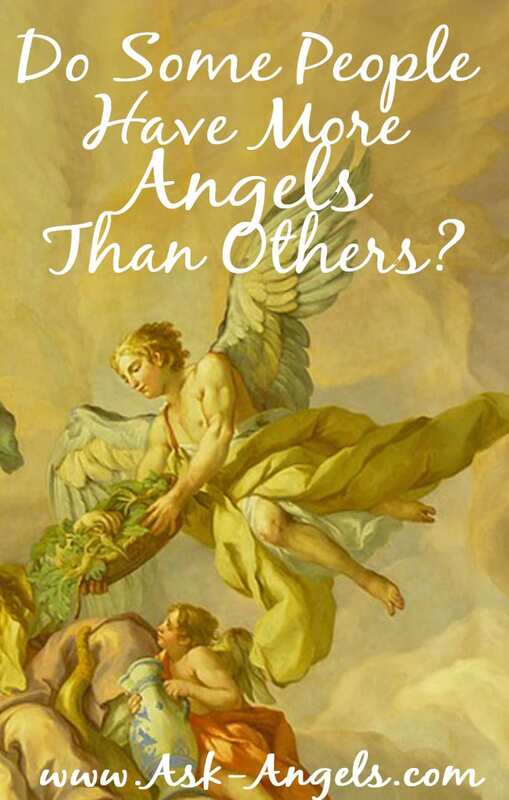 From my experiences doing angel readings and tuning into the energies of others, it's true, that yes some people do have more angels with them than others. Maybe they're energy healers for humanity as a whole, social entrepreneurs who are in the public eye, teachers about angels, undercover lightworkers, or any other number of life purposes that would involve having support from lots of different angels. If you don't ask… Your angels stay back, overlooking from a distance. It's not that they're not there, and they are definitely ready and willing to help, but they're not in close enough proximity for a psychic to notice when scanning your energy during a reading. Keep in mind, at any one point in time there is SOOOO much happening in spirit across the lines of time, and psychics naturally tend tune into what is the most obvious, natural for them to tune into and also, the most interesting to them! Angels vibrate at a much higher frequency than our deceased loved ones, than most spirit guides, and ancestors too… There are many mediums who are able to clearly tune into the messages of angels, but there are also those who cannot. Tuning into angels versus deceased loved ones, or fairies, or elementals is a matter of frequency, like setting your psychic dial to a different station. But regardless of what frequency you're currently tuned into, when you do ask for your angels to be with you, they always step up, step forward and show up for you in your life. Rather it's because Angel Sessions, webinars, meditations, and group conversations about angels bring the angels closer to you! The more you talk about, think about, read about, enjoy, listen to sessions, meditate with, and ask your angels to be with you … the more they are! So if you want more angels to be with you… Invite them in! Check out The Angel Solution membership and join our private group on facebook. Since I was 8, I have felt as if there are always angels around me. My mom committed suicide in 1972 and visited me that night. I have had three very close brushes with death and have amazed doctors each time with my very speedy recovery. I have asked the angels for help and more than once have felt their hands on me. I also have a strange connection with animals, it’s as if they know what I am thinking. Is this anything new to you? Is the loss of my mother at a young age the cause of this? I am now in my fifties and the connection seems to get stronger as I age. My pastor says that I have been touched by the Holy Spirit. I would like to know more about this. Hello, wanted to say that I love your posts, they really help me with everything and elevating to my higher self! Wanted to know if you would do an article on animals sensing spirits. Our dog, looks and grows in 2 spots in our house, a window behind our tv, and a side door leading outside! This started happening after my mother in law passed away (I lived with her) and my Mother also passed a week before! Thank You! Thank you… Great suggestion for a post! Yes of course… Everyone has angels! Hi, I am really interested in knowing how many Angel’s are with me please. ?